We are established in the market as a trusted stainless steel basket strainer manufacturer for proffering the most reliable solution to protect the valve, pump, regulator, meter and other process equipment from the damage. As this stainless steel basket strainer is of the 304 SS material, there is no possibility of the corrosion and therefore ensures truly contamination free media throughout the lifespan. No extra maintenance is required once installed in the pipeline and hence the after maintenance cost slashes to the notable price, making the SS basket strainer low cost affair. The open area ratio of this stainless steel basket strainer is considerably high and therefore is a sterling option for straining sediments and other impurities from the water processing system. This SS basket strainer fabricated using the forging technology as per the international quality standards and all the face to face end and flanged end connection are formed as per the ASME standard, which also can be available as per the DIN and BS standards. 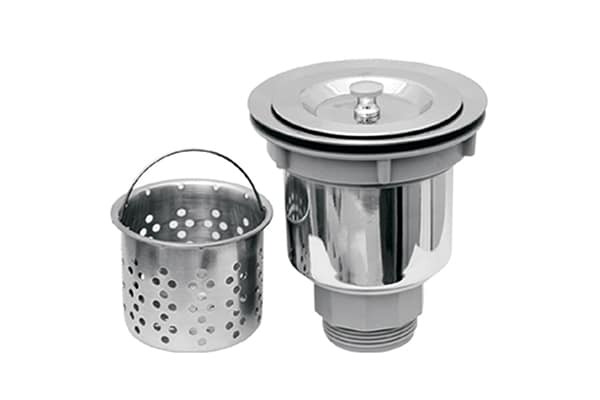 This stainless steel strainer flourishing in the water applications for removing the considerable amount of impurities without failing, and prevent even the smallest size of the sediment to pass and clog, available in the simplex as well as duplex design as per the outlined specifications from the user end.